In an era of digital transformation, it’s hard to believe that one of the world’s best-loved operating systems (OS), Windows 7, was actually released in 2009. In fact, the OS is still used by 40.88% of organizations, despite the subsequent release of Windows 10 and Office 365ProPlus. Those solutions are now bundled as the Microsoft Modern Desktop and delivered via the cloud. It’s likely that many organizations haven’t upgraded to-date given the fact that the Windows 7 OS is a stable workhorse. In addition, embarking on a major upgrade process is time-consuming and taxing, at a time when organizations are prioritizing digital growth. However, staying with the status quo is no longer an option as extended support for Windows 7 is ending January 14, 2020. This is hardly a shock, as Microsoft ended mainstream support back in 2015. Windows 7 EOL: Are You On Track to Upgrade? Upgrading operating systems is a major change management initiative. It takes IT organizations six months or more to plan deployments, test, validate, and deploy new operating systems and applications, as well as train users on new ways of working. If organizations haven’t started planning yet, they need to start now, as they will lose access to security features and patches after the sunset date. Running a vulnerable, unstable operating system is simply not an option for any organization in today’s digital marketplace, which is beset with risks and threats. Since many organizations haven’t run a major operating system upgrade in years, they likely will need to rebuild these processes. That can mean setting up a team, hiring or training key staff, creating an upgrade plan and roadmap with business buy-in, and designing a rollout that minimizes business disruptions. Upgrades are constant: The era of the “big bang” operating system updates that occur every three to five years is over, which should reduce the strain on organizations once they’ve migrated from Windows 7 to Windows 10. However, with Windows 10 and Office 365 ProPlus, organizations can expect to get upgrades every six months in March and September. Starting in September 2018, the lifecycle will be extended to 24 months to validate, deploy, and use the latest version. With ongoing, overlapping upgrades, it will be easy for organizations to fall behind unless they commit to developing fast, efficient processes. So standing up a team that can handle these responsibilities, sometimes called OS-as-a-Service, is now a major organizational priority. Upgrades are uniform: With years between upgrades, organizations have essentially created custom Windows 7 implementations that are difficult to manage and patch. With faster upgrades, organizations will be forced to standardize, creating greater flexibility, quality, and security. 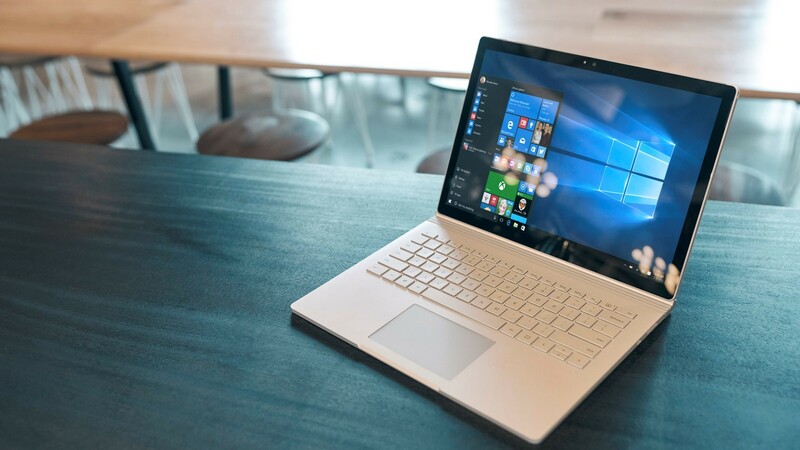 At Intellinet, we believe that constant upgrades with Windows 10 are actually a good thing. Organizations benefit with an easy user interface, the latest functionality to drive productivity, and exceptional security. When upgrades are paired with big data, analytics, machine learning, and new tooling, organizations get a flexible, modern IT platform that truly enables the business. Read our blog on how the Modern Desktop helps organizations transform aging infrastructures. Organizations that invest in creating an agile process now benefit multiple ways. They will develop the organizational muscle to run upgrades seamlessly, ensure rollouts are aligned with business priorities, and significantly shrink the time to value. After all, why use the full 18 months to implement new capabilities, if you can shrink the window to just a few months? Windows as a Service: Upgrades are now planned, rolling, and happening at a predictable cadence as Windows as a Service. IT teams will get insider builds of the latest Windows 10 upgrade that enable them to evaluate OS, network, and app readiness. They’ll use pilot deployments and analytics to address any issues in preparation for the release build. When they get to deployment, IT teams will continue to focus on service management tooling, bandwidth, rollout, driver servicing, and scheduling, but it will happen in a more streamlined, accelerated fashion. They’ll also benefit from getting detailed analytics on their user population they can use to fine-tune rollouts to real needs. Teams become agile: Iterative releases require agile processes. While traditional agile teams focus on writing code and delivering incremental business value, agile upgrade teams will be focused on refining pre-deployment and launch processes so that they operate as well-oiled machines. A continual focus on testing: Much of agile teams’ work will focus on testing, as they’ll be testing Windows 10 and Office365 ProPlus Insider Previews and providing feedback to Microsoft, simultaneously testing their own applications, and running and evaluating pilots prior to rollout. Thus, teams will move to a continual testing model, which will improve quality and stability with each release. Gain modern tooling: In the years since organizations have released Windows 7, software testing has taken a quantum leap. IT teams can now use the open-source platform GitHub to gain access to state-of-the-art cloud-based testing tools, with results that can be easily shared with the business. With data analytics, it’s easier for developers to work more efficiently and for QA testers to identify errors faster, reducing the risk of application incompatibility or project failures. Easy device management: Previously, IT teams tackled upgrades on a 1:1 basis. With Windows 10, they can roll out updates to all devices simultaneously, empowering users with consistent functionality while avoiding excessive time spent on low-value work. Read our blog on how the Modern Desktop platform helps your organization win. Windows 10 provides a cloud-based OS that helps enterprise tame IT complexity and improve security. IT teams win with defined processes; a stable platform; and new features that enable the business. They also can provision resources more easily, freeing up time for innovation initiatives. Finally, they reduce security risks, due to out-of-date platforms, unapplied patches, unauthorized users, or local data. Windows 10 provides comprehensive security, including threat, identity, and information protection and security management tools. Office 365 ProPlus provides the productivity solutions users know and love, such as Microsoft Outlook Word, PowerPoint, Excel, and OneNote on the cloud. That means employees can securely access their online workspace anywhere, across any device, fueling mobile workstyles. Learn how the Modern Desktop improves your organization’s security. Interested in moving your organization to the Microsoft Modern Desktop? Your organization may be eligible for a Microsoft-funded assessment or proof-of-concept. Contact Intellinet today to learn more.